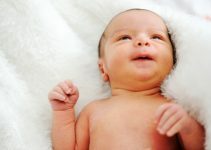 Baby Hearing And Language Development - How to Help Your Baby? 2 How To Identify A Speech Delay? With each passing day and month, you come across new milestones that your baby crosses and you feel joy and pride to see your little one growing. Among all the milestones like sitting, crawling, walking etc, the most exciting one is speech and language. The early words of your baby like dada and baba will gradually become more clear and he will begin to put faces to the names. This will be followed by need based words like water, food or potty. Next will come the common words which you have introduced to him like dog, fan, nose etc. All these inputs help in language development in toddlers. Your child’s words begin by the age of one and by the time they are 4 years old, they have a vocabulary of almost 1500 words and an ability to recite a story. 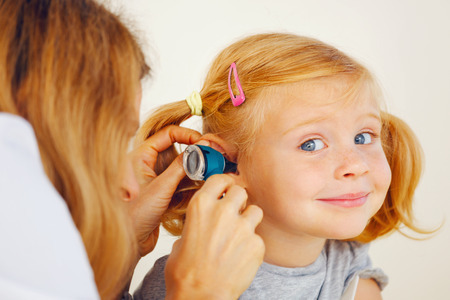 This is the normal course of development in children but if a child has a hearing trouble in the form of a partial or complete hearing loss, then he will not be able to pick up words or say them. This is simply because he cannot hear them and hence cannot repeat. Family members and parents should interact with the baby since a young age and encourage conversations. By doing so you will be able to identify a problem if there is before the child turns one. 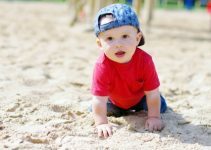 Dealing with hearing impairment is all about early intervention and creating a supportive environment in the family to help the child cope with the hearing difficulty. There is a clear delay in the receptive and communicative skills as they do not hear your commands and hence cannot perceive or judge what you are saying unless it is said with actions. Similarly they cannot communicate their needs. Communication troubles make these children prone to social pressures. How To Identify A Speech Delay? Speech means the use of words by your baby. Speech development age 2 is achieving a vast vocabulary of words. Language is basically putting these words into fixed formats and understanding the meaning of what is said. The delay in speech and language can be both receptive and expressive. Receptive delay means the child cannot understand what is being said or read to him and expressive delays mean that the child cannot put the words together in a proper sentence even when he understands the meaning. Failure or very slow to respond to commands. No response at all to loud sounds. If there is a hearing impairment in children, this symptom becomes prominent. If strangers cannot understand what the child says by 36 months of age. 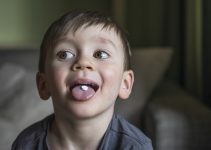 The above may be associated with accessory symptoms like drooling, stammering, difficult coordination of the tongue and face muscles, flustered or stuttered behavior in front of strangers. The presence of symptoms will vary from one child to the other but they are important as they help to pin point where the trouble is. Hearing aids are small devices that fit into the ear. They amplify the sound and transmit it to the ear canal. Baby hearing aid are also available but they need to be chosen based on the type of the hearing loss after consultation with an audiologist. Use of assitive technology like personal frequency modulation, FM systems, infrared systems and amplified telephones. Cochlear implants are gaining popularity these days. They are devices that are inserted withing the ear. There is a microphone that is attached to capture the sound and transmit it to the auditory nerve which aids hearing. Speech therapy is very effective in dealing with speech and language development delays in children. Firstly a speech therapy evaluation is done to assess what the child needs. 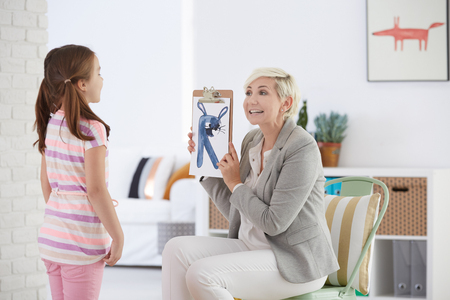 Speech therapy can prove to be very helpful in stuttering, stammering, fluency problems, voice disorders like vocal cord paralysis and dysphonia. Two year old speech delay also needs a well planned speech intervention. In many cases, speech troubles arise out of nervous system disorders, stroke or head injury.They also benefit from speech therapy designed especially for language development in children. There are many speech therapy websites available these days which you can use. To form a proper sentence and use the correct grammar. Perform exercises to use the tongue, lip and jaw muscles properly leading to correct pronunciation. Explaining word articulation techniques and demonstrating similar sounding words. Improving self confidence and practicing speech techniques to overcome stammering. If your child has a hearing loss and consequent speech or language development delay, then the above information will be helpful to you. Apart from all this, as parents you need to provide continuous support and encouragement in order to cop with the deficiency. Encourage communication with your baby by means of signs and expressions. Make your child feel secure and confident that he will be able to overcome this hurdle. Try innovative ways to teach him small things and make learning fun. Use play to teach him day to day needs and demonstrate so that he can imitate and learn. Read to your child everyday and gradually he will pick up words, sounds and their meanings. All these methods combined will help your baby to develop speech and improve on the language. The contribution of all family members is very vital to ensure a good language base in the child. So make sure all the members of the family are in this together.